Jamie is a corporate attorney with an MBA who practices corporate law with a solid foundation in valuation, financial statement analysis, corporate strategy and tax. 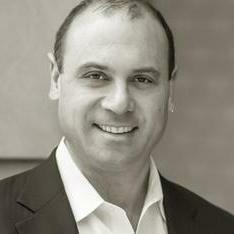 Before going back to private practice with a boutique firm, Jamie served as a senior in-house lawyer at a multi-billion dollar registered investment manager of a global hedge fund and global private equity funds with a focus on private equity (transactions, fund formation, and finance), employment matters and carried interest sharing plans on a global basis. Previously, Jamie practiced at White & Case and Sidley Austin focusing on M&A, Finance and other corporate… read more transactions..
Jamie Sklar does not have any reviews yet. Represents companies and investment funds in a broad range of corporate matters with a particular focus on M&A, fund formation and financing transactions. Serves as outside General Counsel with respect to day to day corporate and commercial matters of various clients and represents companies and individuals on employment and executive compensation matters. Represents Canadian companies in connection with cross border transactions and operations in the U.S.. In-house counsel to registered investment manager of global distressed/restructuring hedge fund and five global distressed opportunities private equity funds. Represented U.S. and international financial, industrial and service institutions in connection with M&A transactions with an emphasis on private equity investments. Responsibilities included drafting and negotiating operative documents for mergers, stock purchases, asset purchases and joint ventures and advising clients with respect to related laws. Managed teams of midlevel and junior associates in drafting documents and closing transactions.